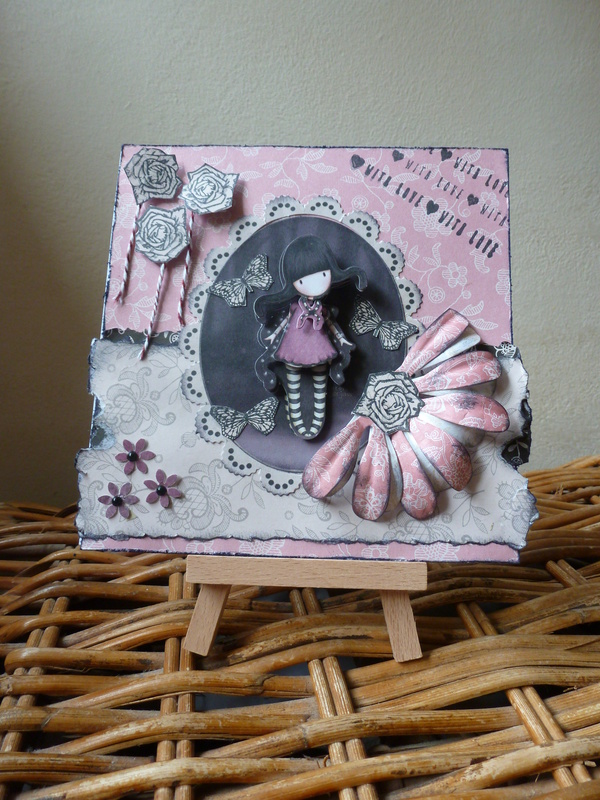 I made this card with my favourite Gorjuss girl, and Papermania Capsule papers and flowers. Flower stems are from Papermania Twine. Stamp from free giveaway in Creativity Magazine. Here is a Clean and Simple type of card, made with my ink sprays, dribbled onto the card surface and a Roald Dahl image with a message added on. Me again! 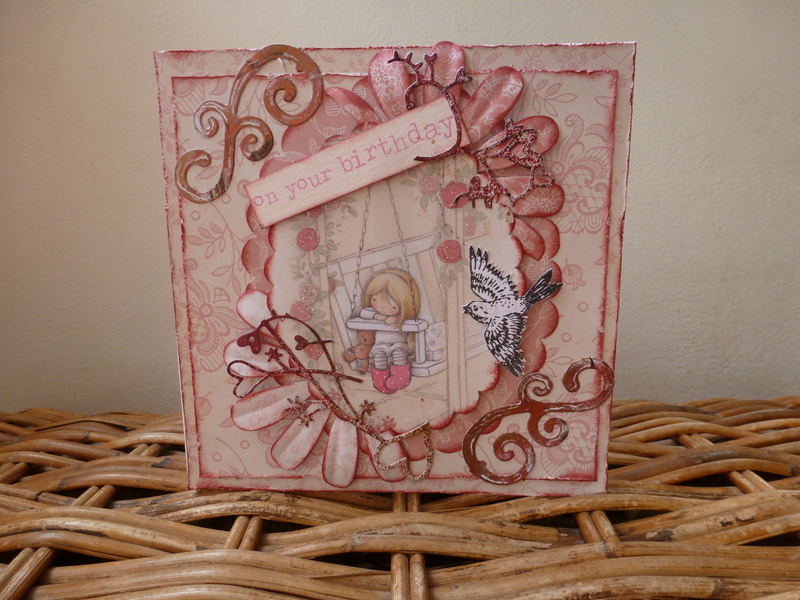 Here is a pink girly card I made. 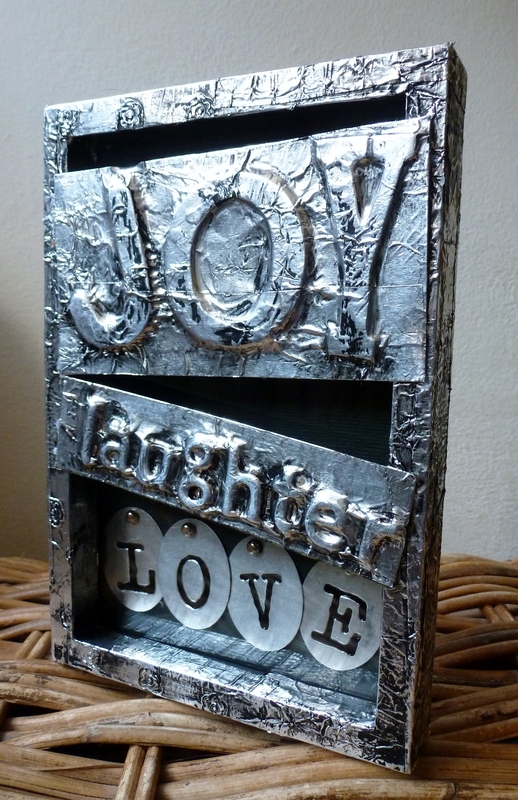 The central image is from a birthday card, upcycled! The papers and flowers are from Papermania Capsule Papers, Wild Rose. Twirls from XCut dies. The delicate die on the flowers is from Memory Box. I love it but its a bleep! to stick down! You get nothing from me for months and now Im going crazy, posting here there and everywhere! 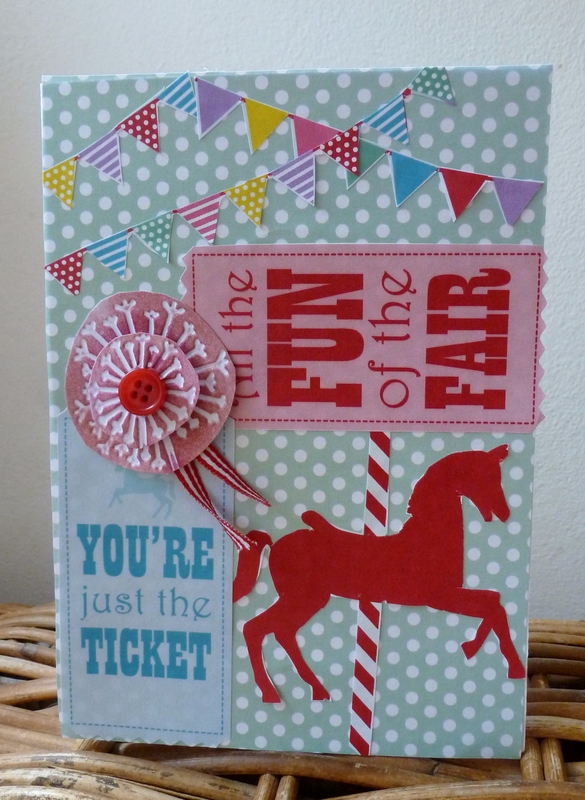 Here is a card I made using the docrafts paper downloads, Funfair. Very summery! 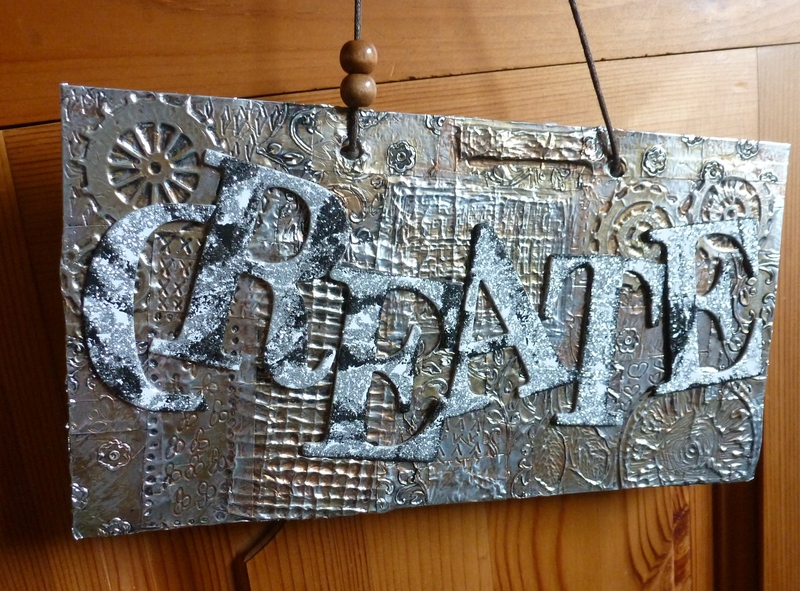 Just wanted to show you a door hanger that I made with my silver foil tape! I am loving this tape! Basically I placed cogs and hessian underneath the foil and taped and embossed over it with a stylus and my fingers! Careful not to rip the tape! Added black acrylic paint which I then wiped off and hey presto! Then I added chipboard glitter letters that I’ve had for yonks and inked them up too as they were just toooooo pretty for my liking! Added a tad of my trusty Treasure Gold for colour. Good Morning everyone! Here is a mobile I made for my sisters new home. 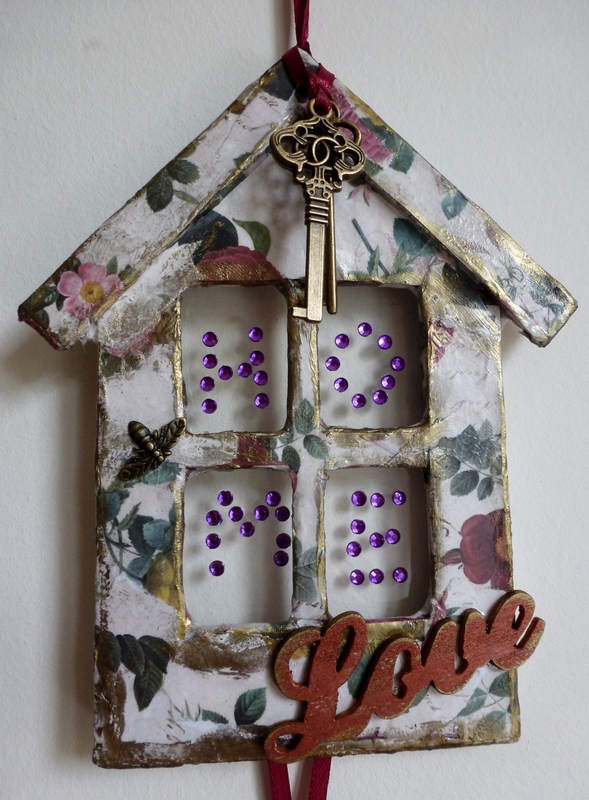 Its made from Bare Basics shapes, which I decoupaged with Papermania Botanicals decoupage papers (house) and gilted the house up with Treasure Gold wax. Added acetate for the windows and wrote the word HOME in gems onto the windows. 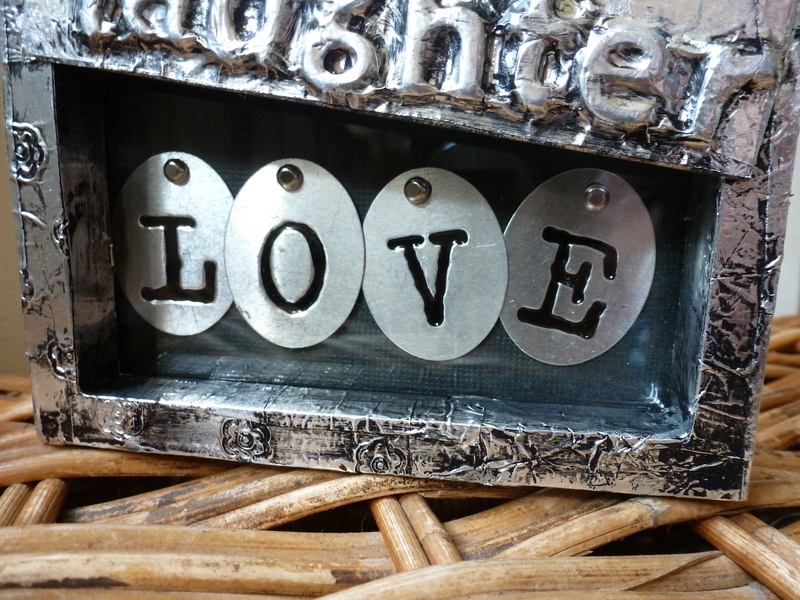 Added keys from my stash and the word Love also from stash. 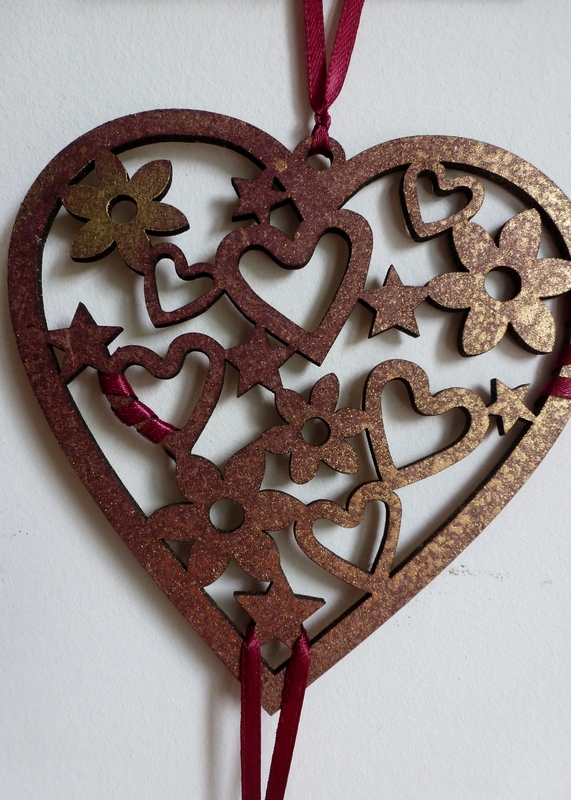 I sprayed the heart with Artiste Gold spray and tied ribbon onto it. 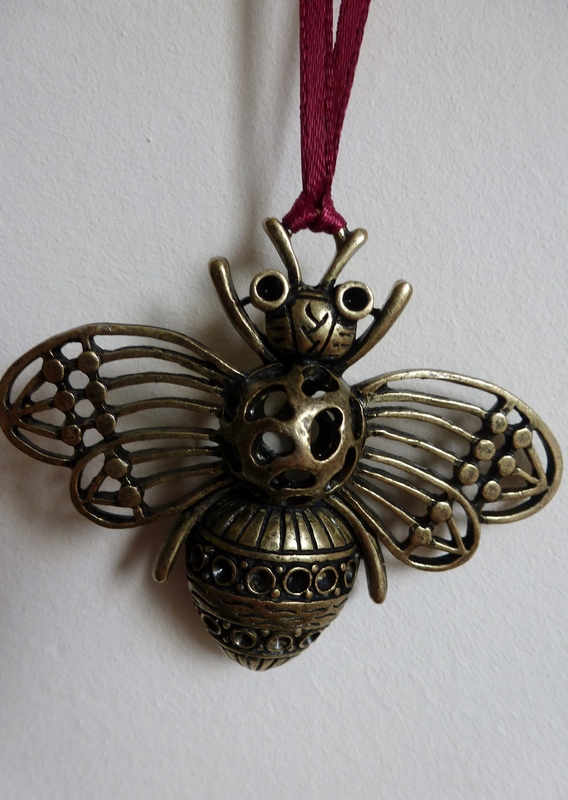 I added the Bumble Bee charm to the bottom. Hey Everyone! I cant believe its been so long since I last posted! May! I have a bone fide excuse though, in the form of a slipped disc! Ouch! Has kept me pretty occupied for these past months, and I couldnt bear to sit let alone at a computer! So here I am, back to form thanks to a wonderful (and painful!) epidural injection into my spine, almost back to my fighting best! 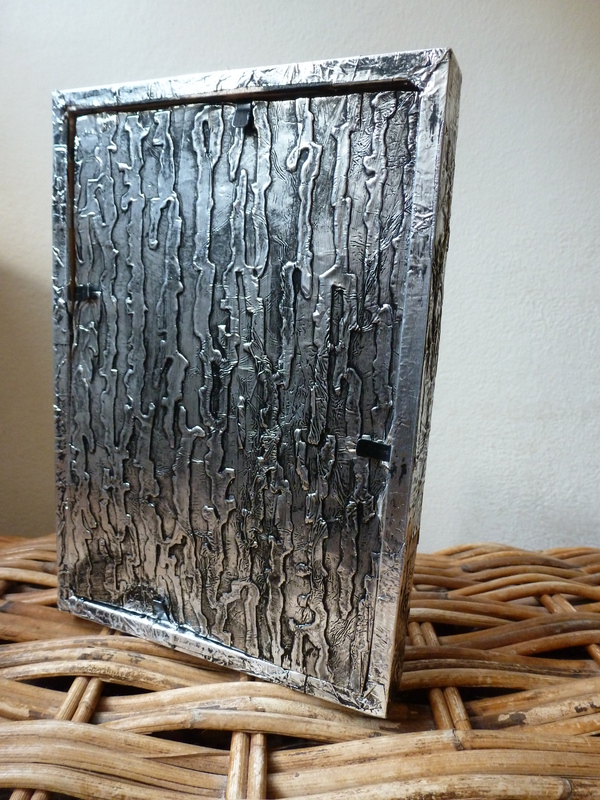 So here is my latest piece of work, an old photo frame turned metallic with the help of my latest obssession, foil tape! 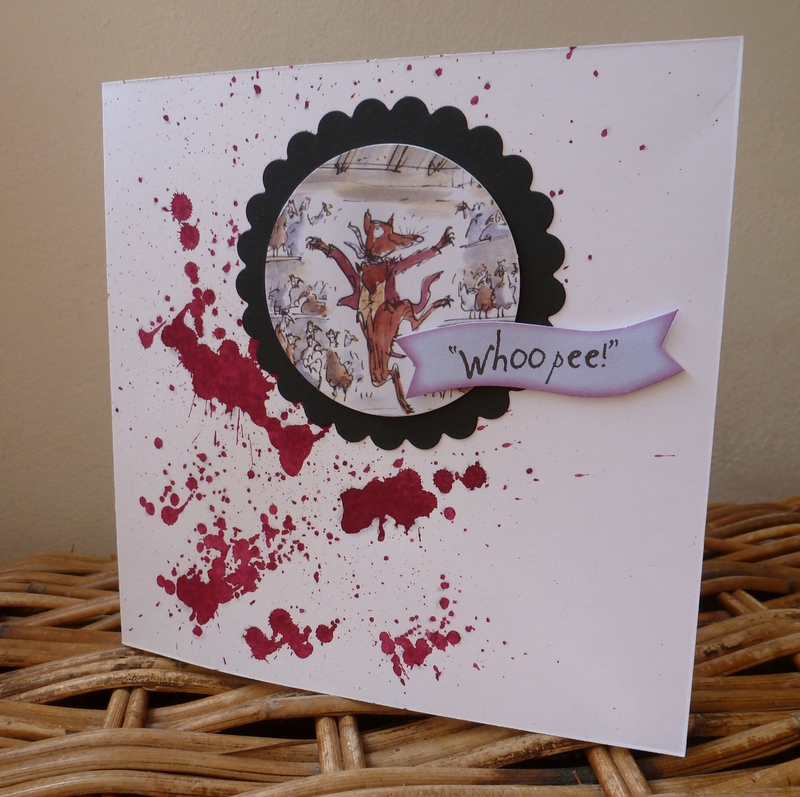 You can scrunch it, emboss it and then you ink it up with black ink, wipe away, and et voila! Hammered metal look! I hope you like this as much as I do! If you give it a go yourself, dont forget to let me see what you made!